Easily Create Webinars, Videos, & More! 1000s of Animated Slides Done-For-You Inside! Sales Funnel: The product is part of a sales funnel which includes up to 7 other products. 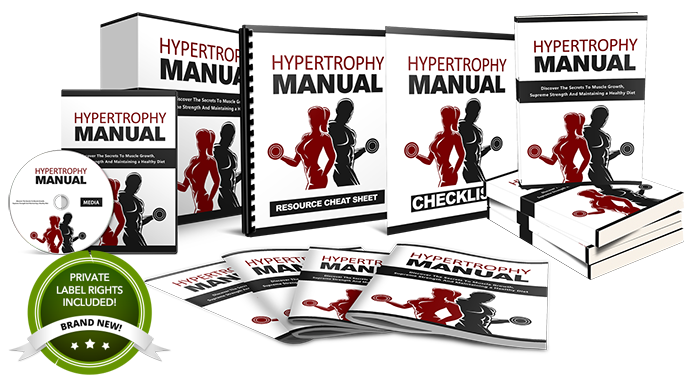 It’s called “Hypertrophy Manual”. This one’s in the evergreen Fitness & Health niche. Best of all, you'll grab full private label rights to rebrand and resell the entire course as your own! But you must HURRY! There's currently an early-bird special discount if you grab your copy today. This in a super hot niche that's highly in-demand, and you could very well put your name on this product and resell it for 100% of the profit. Make just 1 sale and you already profit!